The Discmania line-up gets a much-anticipated addition in the form of a beefy fairway driver. The newcomer is called the FD3 and it is targeted everyone who can appreciate an overstable driver you can trust in all conditions. The FD3 features an aerodynamic low profile and a very comfortable concave lower rim. The initial release comes with vibrant C-line material that endures wear very well and provides an awesome grip. The flightnumbers for the FD3 are set at 9, 4, 0, 3. 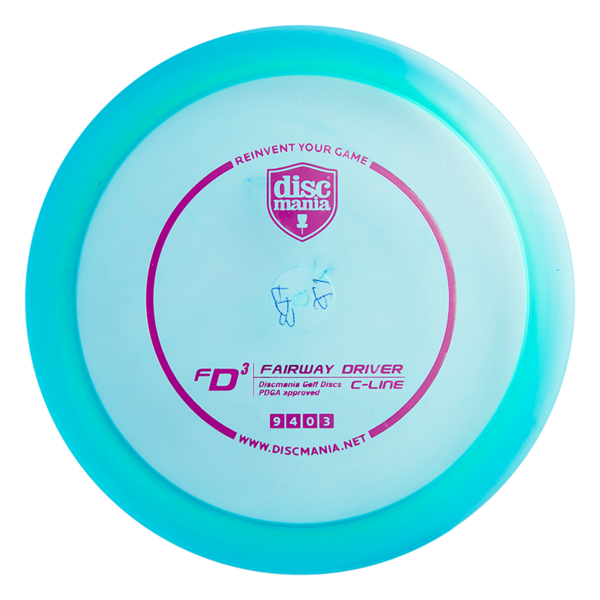 Despite being very close to the best-selling Discmania Power Driver (PD) in terms of flight ratings, the FD3 offers noticeably more overstable flight pattern. This disc can be used for everything from touch sidearms that get you out of trouble to full power drives off the tee. You can always rely on FD3’s long but powerful and forward-penetrating fade.